Dr B P Maithani started his career as a Researcher in Social Science with the Centre for the Study Developing Society, New Delhi. 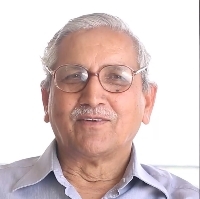 After that, he switched to social work, as a Coordinator with the Border Area Coordination Committee of 7 National Level Gandhian Organizations. Then, he joined Pilot Research Project in Rural Growth Centre at Gandhian Institute of Studies, Varanasi and worked there for 2.5 years. After that, he joined as a lecturer in Geography in Government Post Graduate College, Pithoragarh. After 7 years of teaching, he again switched over to Research and Training as Deputy Director at National Institute of Rural Development (NIRD), Hyderabad. Later on, he became Director Centre for Micro Planning and Centre for Sustainable Rural Development, NIRD. From there he became the Founder Director of NIRD, North East India Centre, Guwahati. There he worked for about 15 years. He was also there for 5 years deputation with Council for Advancement of People's Activity and Rural Technology (CAPART) as its Member, Convener. Currently, he is the President of RTI Club, Uttarakhand. Rural development is the process of improving the quality of life and economic well-being of people living in relatively isolated and sparsely populated areas. It has traditionally centered on the exploitation of land-intensive natural resources such as agriculture and forestry. However, changes in global production networks and increased urbanization have changed the character of rural areas. "I started my career as a Researcher in Social Science with the Centre for the Study Developing Society, New Delhi. After that, I did various work in the field of Rural Development and also taught Geography for 7 years for a Government College. After that, I became the Founder and Director of NIRD, North East India Centre, Guwahati. There I worked for about 15 years. I also worked with Council for Advancement of People's Activity and Rural Technology (CAPART) for 5 years. Currently, I am the President of RTI Club, Uttarakhand."